This application form is to be filled out by parents or guardians of the prospective student. Completed forms must be sent to the administrative office together with other required items. NorthGate College invites students from all backgrounds to apply for admission. The College seeks applicants who are prepared to meet NorthGate‘s challenging programs and make positive contributions to the college community. The NorthGate College process places a great emphasis is on personal development of which academic achievement is a sub-set. NorthGate College prepares students for Cambridge O Level, CSEC Ordinary Level Courses and CAPE Advanced Level Courses. The sheer exhilaration that surrounds NorthGate College’s Annual Sports Events leaves every parent, student, teacher and onlooker charged. Every pre-sport event increases the suspense as the likelihood of who will be declared the winner is intensified. Which team will have bragging rights for the rest of the academic year? All of these forces of energy culminated on Thursday 28th February in a buzz of pure excitement expressed in the vivacious displays of the pageantry and the passion of our athletes. 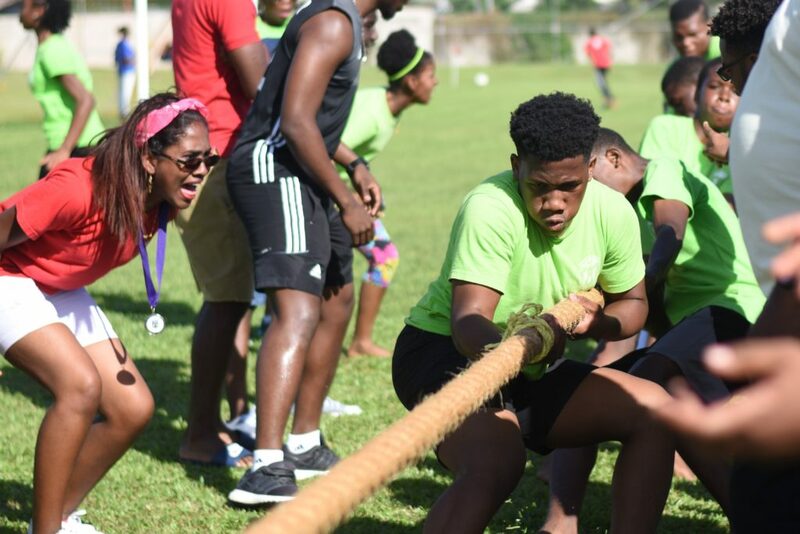 Sporting activities such as 100m, 200m, 400m Male and Female races, Dizzy Derby Team relay and the much anticipated Tug of War engendered eager participation. Parents and well-wishers were enthusiastically engaged with cheering, photography, video capture, and lots of laughter. Congratulations to Sarah Frederick who was the Lower School Victrix Ludorum, Jadon De Souza who was the Lower School Victor Ludorum, Rayanne Radix who was the Upper School Victrix Ludorum and Jeremiah Taylor-Bernard who was the Upper School Victor Ludorum. When the points were tallied, it was Team Impact who emerged victorious. Congratulations to all the teams as they demonstrated the heart of the College and represented the theme of the Sports Day: “Exactness”. The build up towards this highly anticipated day is geared towards stimulating greater relationships and camaraderie among the students and teachers. The day was indeed a success as they all submitted to the process with joy and relentless commitment. Another excellent effort by the NorthGate College! 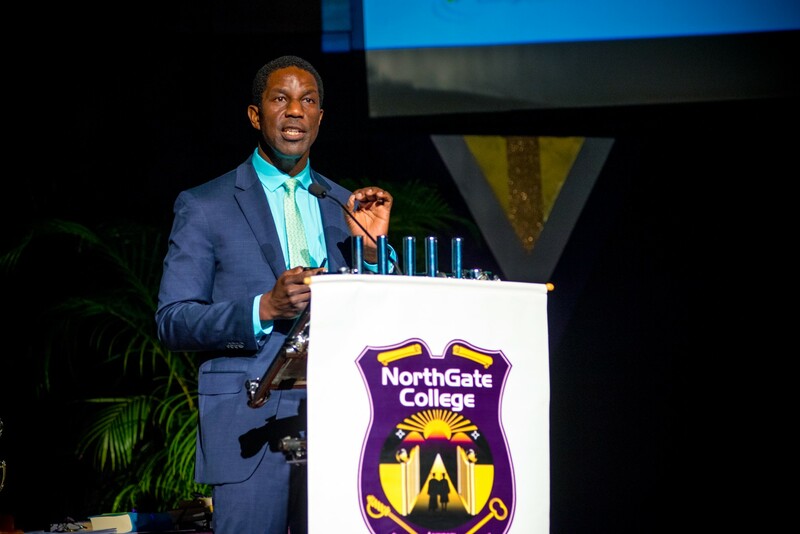 On November 28th 2018, NorthGate College celebrated the start of our 20th year as a College with a dynamic soiree. The event showcased the fullness of what God has birthed in the NorthGate system and allowed current and past affiliates of the College to experience the rich life that is as a result of this 20 year journey. The programme included staged areas for viewing either exhibitions or performances from staff and students. A photo gallery beautifully painted the early beginnings, highlighting the growth and development experienced over the years yet never losing the rich values upon which NGC was built. 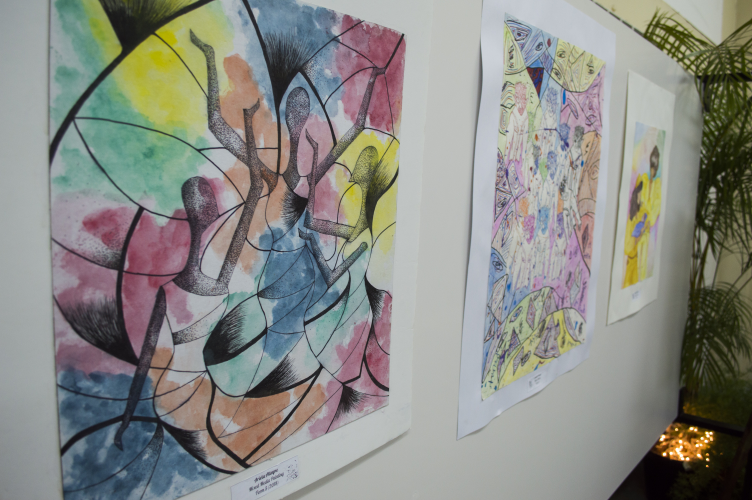 An Art Gallery displayed the works completed by students ranging from Form 1 to Form 5, presenting varying levels of complexities, personal techniques and execution. Students performed spoken word pieces, dramatic presentations, modern dances in addition to other creative expressions along the theme. Montages, Video Presentations and Leadership perspectives were shared, past student interviews and current teachers’ musings allowed everyone to hear firsthand of the NorthGate journey. It was a joy to see and hear the different experiences of those that have walked through the halls of the college and to hear the heart of the leadership for the future of NorthGate. Caribbean Examination Council (CXC) have gone to a small private secondary school with a total population of just 300 students. Six students of NorthGate College were named on the CXC 2018 merit list, for their performance at the Caribbean Advanced Proficiency Examination (CAPE) and Caribbean Secondary Examination Council (CSEC) school-leaving tests. 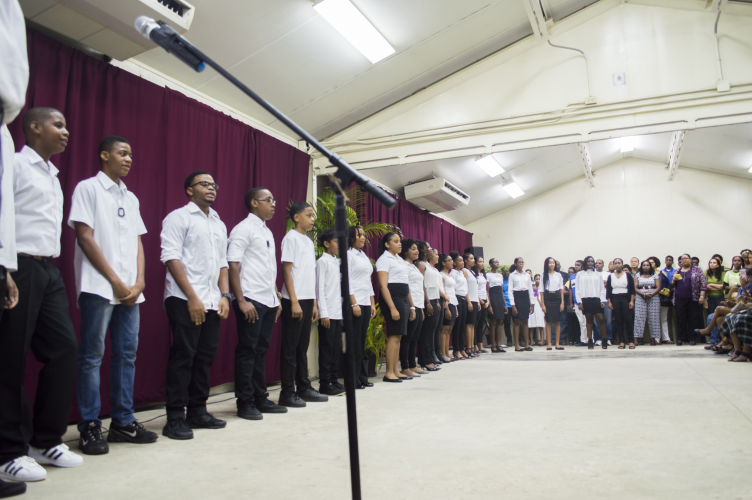 The merit list identifies the top ten students in the entire Caribbean in each subject offered at the CSEC and CAPE level. At the CAPE level, Sebastian Rudden made the region’s top ten list for Pure Math and Physics, Brandon Wooding for Applied Math and Pure Math, Jeremy Edwards for Information Technology, Zachary Joel for Entrepreneurship, and Ethan Wilson for Building and Mechanical Engineering Drawing. At the CSEC level, Antenor Mohammed placed ninth overall in Principles of Accounts. Among the six CXC honourees, three have also been awarded national scholarships by the Government of Trinidad and Tobago for their outstanding CAPE performance. Sebastian Rudden and Brandon Wooding were awarded open scholarships, and Conrad Taitt received an additional scholarship. 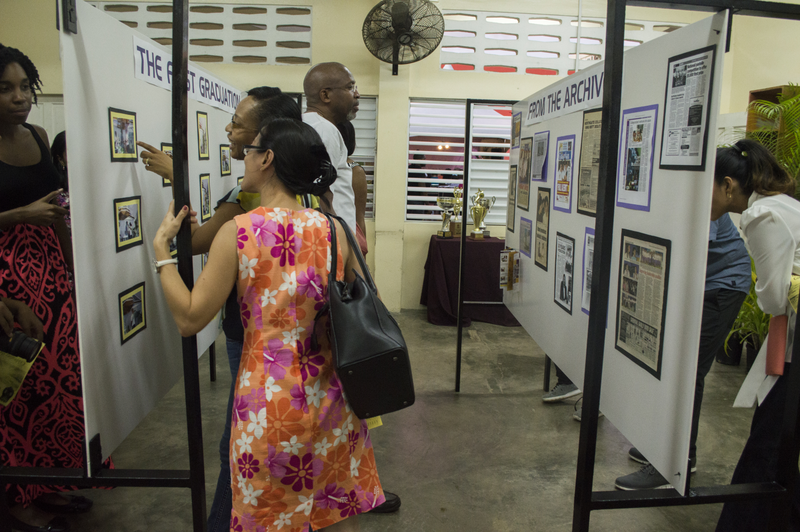 Rudden and Taitt excelled at Pure Math, Applied Math, Physics and Chemistry, while Wooding shone in Pure Math, Applied Math, Physics and Management of Business. The trio made history, securing NorthGate College’s first national scholarships for academic merit since its inception in September 1999. Their upper sixth form class had only 17 students. The accomplishment highlights the small school’s long history of above-average academic achievement. 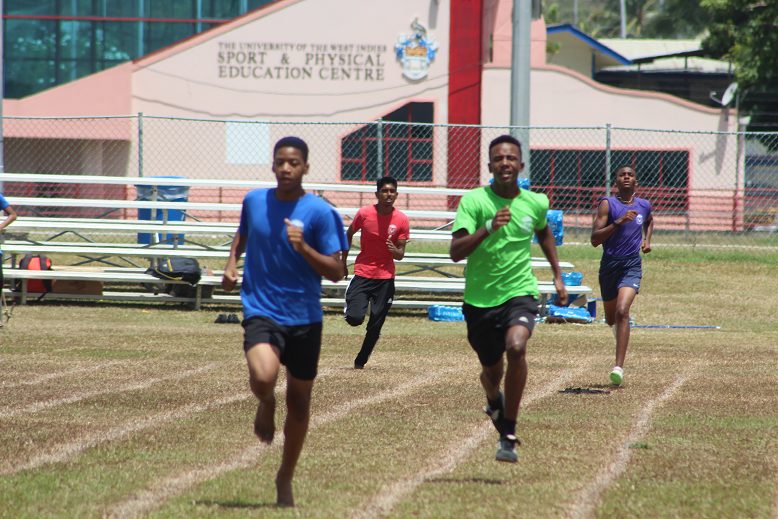 All students have consistently obtained close to 100 per cent pass rates for subjects offered at the CAPE and Caribbean Secondary Examination Council (CSEC) levels. “Over the last two decades, NorthGate has produced tangible and substantial results, and it has done so consistently in spite of operational constraints, human resource limitations and financial challenges. It is clear that God is with us, operating through the school’s systems to produce beneficial divine impact in the lives of these young people. NorthGate College is walking in the midst of a divine miracle,” said Dr Noel Woodroffe, the school’s founder and chairman, and President of Congress WBN, a faith-based organisation with operations in more than 100 nations. “In particular, the entire NorthGate College community is proud of the achievement of Sebastian and Brandon and Conrad in the 2018 CAPE examinations. I expect these young men to continue to faithfully represent the core values imparted to them, as they have done consistently during their time as students,” he added. “The success of our three scholarship winners is validation that our holistic approach to education produces results in an accurate community context. 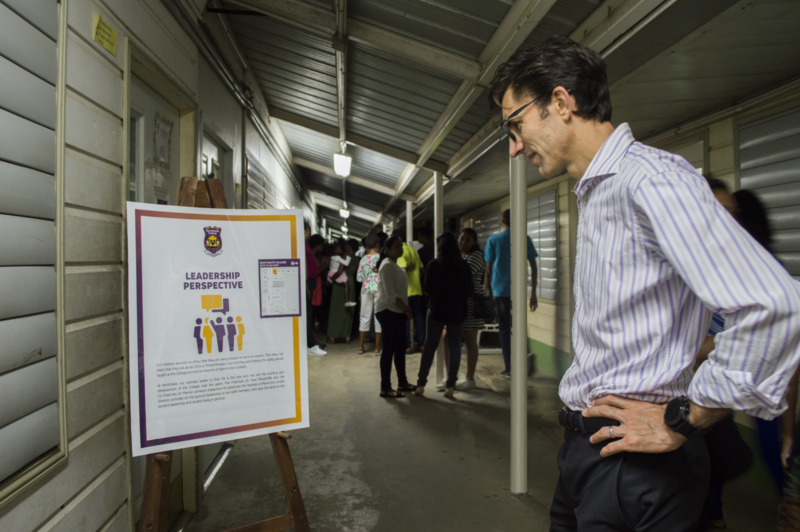 The input of staff, fellow students and collaborative partners is invaluable in creating the context for students to thrive,” said Yolande La Pierre, Director of NorthGate College. She added that the scholarly pursuit occurs within a framework that puts an emphasis on all-round development through extra-curricular activities. “Our Trinidad campus has become a model for high-quality, holistic and balanced education, inspiring other independent NorthGate schools, one each in Jamaica, Uganda, USA and Zambia, and two in Kenya,” said Dr. Marlon Jameson, Co-Chairman of NorthGate College, and an Executive Attaché to the Congress WBN President. The three scholarship winners could hardly be better examples. 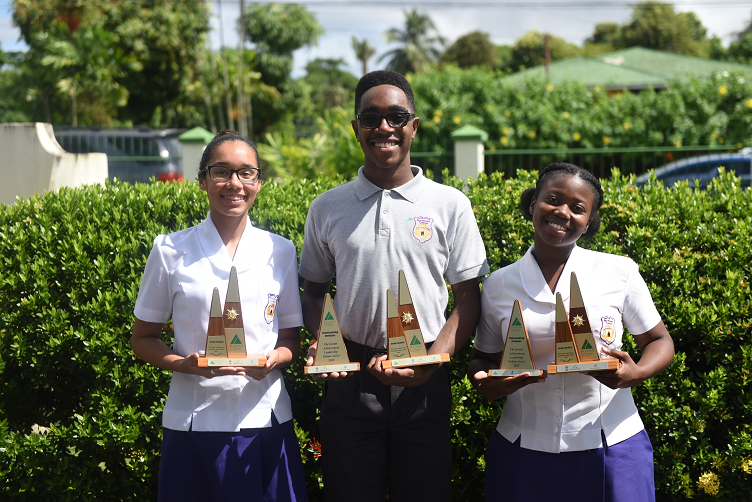 Between them, the three had served in top student leadership positions and had consistently represented the school at a wide range of extra-curricular activities. “It has been an amazing journey. 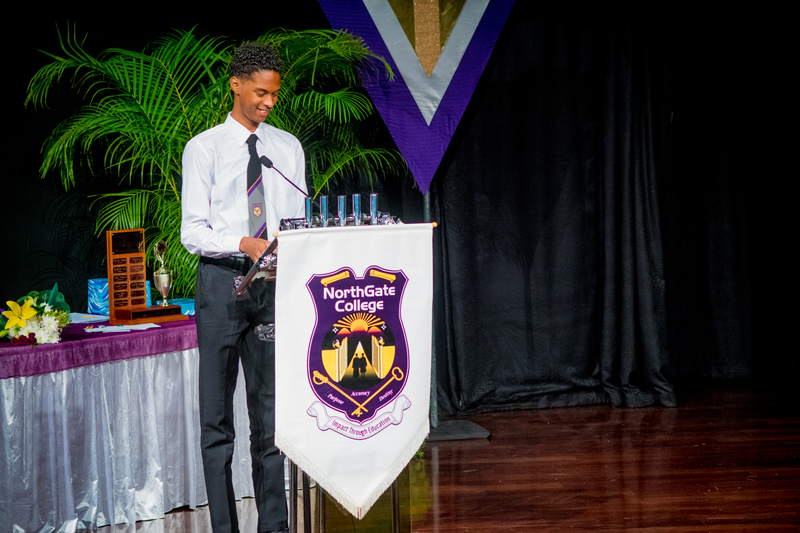 I am exceedingly grateful to God, NorthGate College and my parents for crafting an environment which allowed me to grow and achieve this milestone,” Taitt said. “NorthGate College has been a formative process for me. My sixth form journey in particular challenged me to greater levels of maturity as I had to balance my academics with leadership responsibilities. 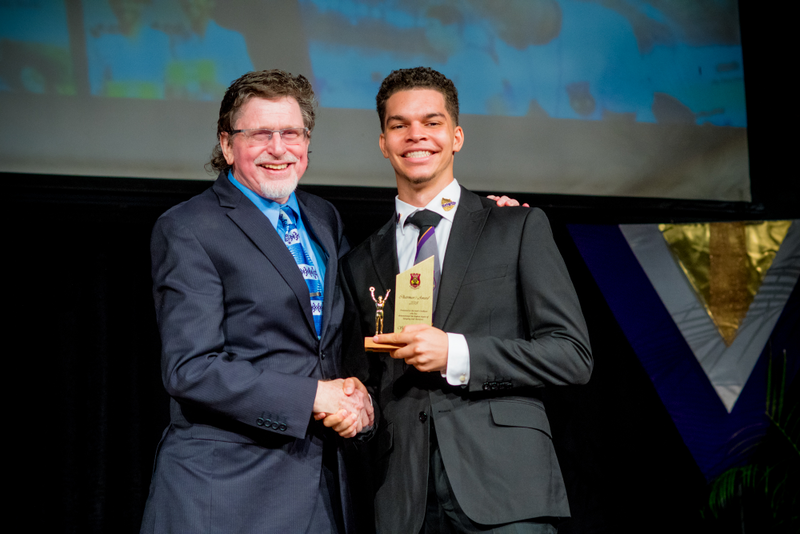 I thank God for the opportunity to attend such a wonderful school and for the culmination of my journey, winning a national open scholarship,” Wooding said. Rudden plans to major in biomedical engineering at Columbia University, New York. This history-making trio are now looking forward to a bright future. Once again, our students and staff were rewarded abundantly as a result of their hard work and diligence over the years. The students at both the CAPE and CSEC levels in 2018 have performed exceptionally well. We celebrate the journey that has brought them to this milestone and are confident that the values and principles learnt will prepare them for the next leg of their journey. Globally, the formal education sector is facing a crisis of confidence, as there has been a sharp decline in the perceived value of academic institutions and formal qualifications. Even top students are becoming less sure that their school degrees are worth the time, money and effort. But the reassuring message of one secondary school Director to the graduating class of 2018 was about the relevance of what they learned over the past five years. NorthGate College is a values-based school located in St. Augustine, and an initiative of international faith-based, non-profit organization Congress WBN. Nigel Edwards, Executive Director of the Trinidad and Tobago Unit Trust Corporation and a Director of the Global Communications and Technology Sector of Congress WBN, urged the graduates to embrace responsibility for remaining relevant by building upon the foundation that had been laid during their time at the College. “You make the choice to be who you are going to be,” Edwards said. Rudden, the Head Boy, captured the Chairman’s Award for the male graduate who demonstrated the highest degree of integrity and character. He also won the majority of the Form 6 academic prizes, while Daniel Harper of Form 5 took the lion’s share of the Form 5 academic prizes. 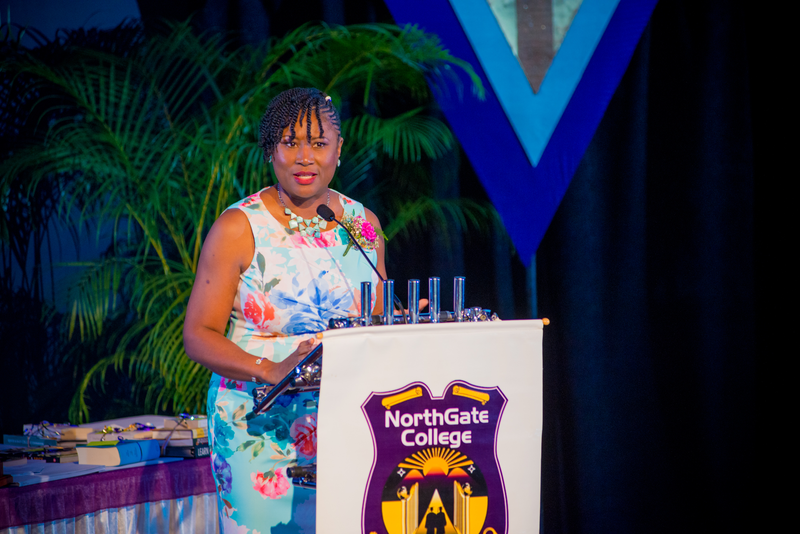 Head Girl Kristin Grant earned the NorthGate College Award for the female graduate who consistently exemplifes the vision and mission of the school. 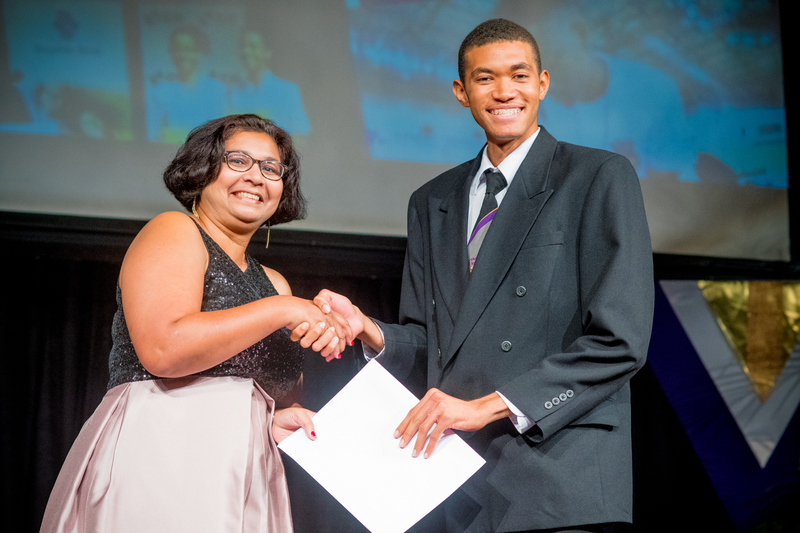 Charise Laveau of Form 6 was honoured with the Cecile Taylor Community Enhancement Award, for students who perform exceptional service and contribute to the preservation of NorthGate’s culture. The award was created in honour of the College’s first director, who was on hand to present the prize. 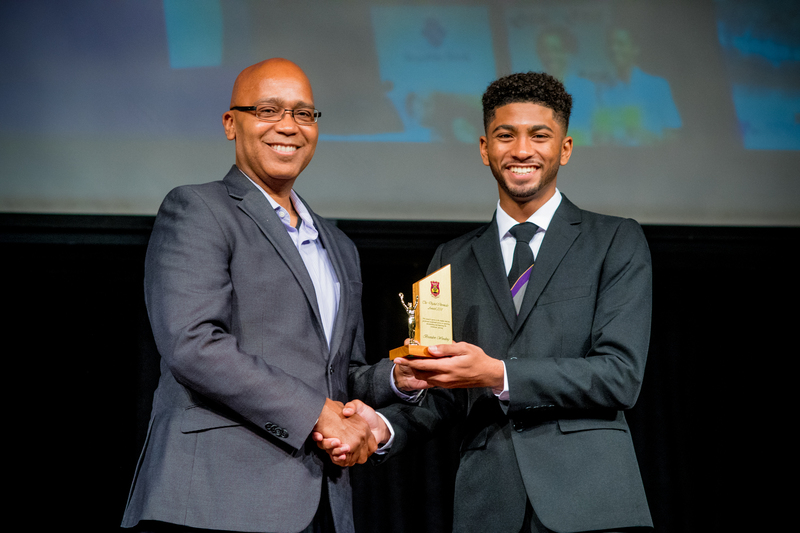 Fifth formers Kitana John and Fendi Phillips captured awards for exceptional service to the school, while Brandon Wooding copped the Digital Chronicles Award and Revaldo Pierre nabbed the Business Award. 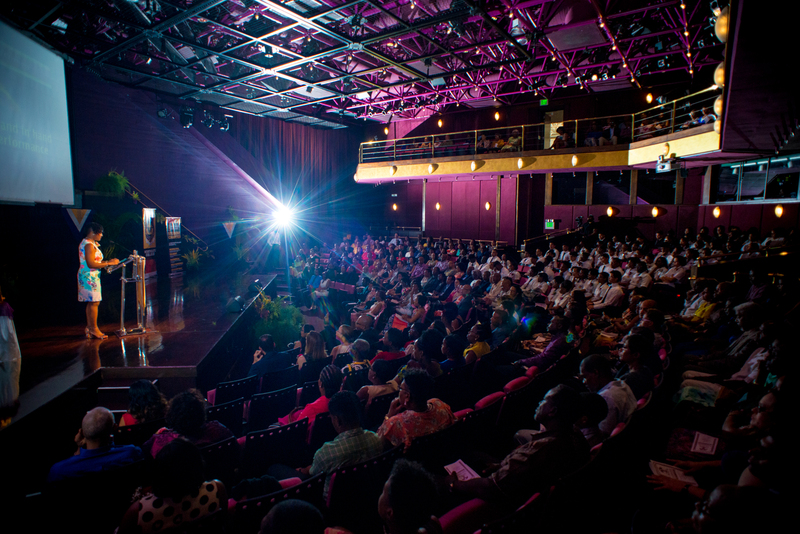 Nigel Edwards, Executive Director of the Trinidad and Tobago Unit Trust Corporation, delivered the keynote address at the 2018 NorthGate College graduation ceremony, held at Central Bank Auditorium, Port of Spain, Trinidad, on June 23, 2018. NorthGate College Career Day 2018 was held on Friday 11 May. 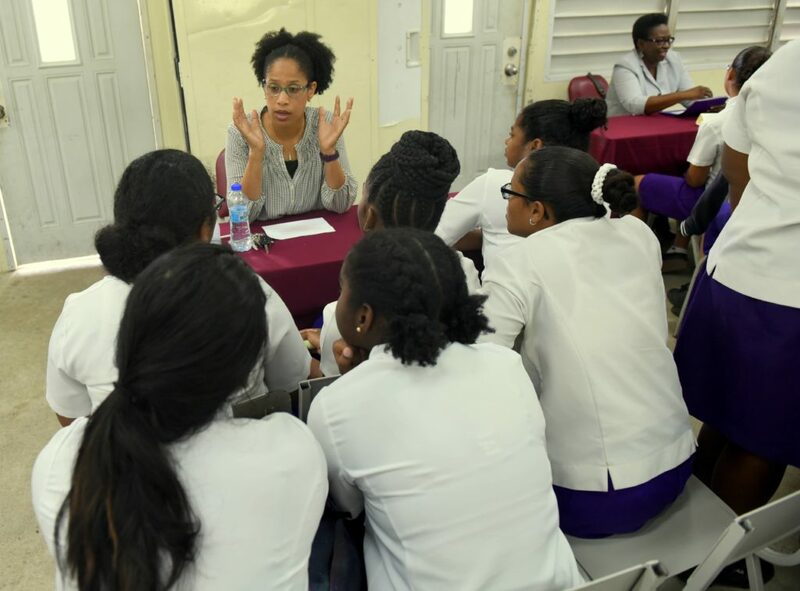 Career Day at NGC is an initiative designed to provide an opportunity for the Form 3 and Form 4 students to deliberately and strategically reflect on career possibilities and begin to map their way forward. The objective is to make the interaction as practical and as meaningful as possible. The introductory session was led by Mrs. Marsha Youssef, a parent and psychologist, who has collaborated with NorthGate College on several occasions. Her session was very practical as she shared with the students not only her personal story, but also a road map to get from where they are at present to where they want to be by examining the options for their career path. She highlighted the reality that though necessary, academic excellence alone is not sufficient. The students must possess passion and an awareness of their personal attributes, even as they prepare to enter the world of work. Mrs. Youssef with an eager bunch students. This interaction paved the way for the intimate, small group sessions to follow with professionals in a multiplicity of areas, selected based on the students’ recommendations. As they did in 2017, NorthGate College parents willingly gave of their time to partner with us for Career Day 2018. They, along with several of our collaborative partners, came ready to share. 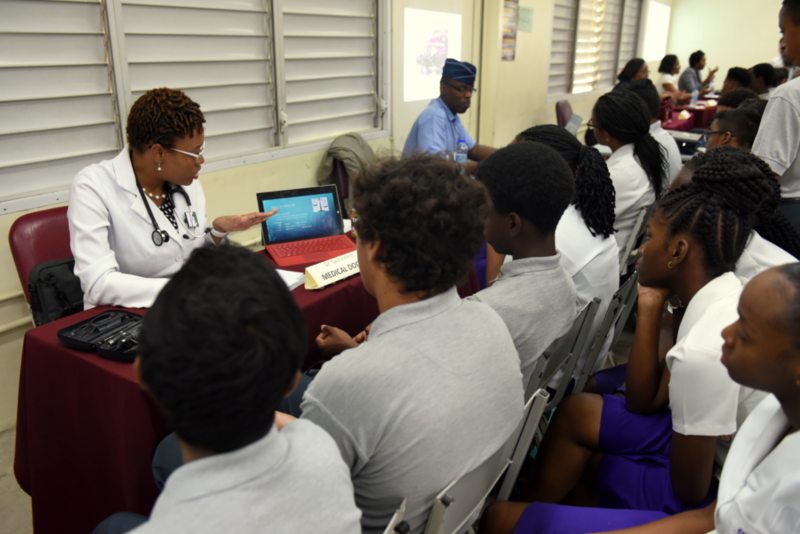 The students were given the options to interact with any 4 out of the 14 professionals who had set up stations in the designated area. The fields represented were: clinical psychology, nutrition, finance, ICT/animation, marketing and sales, law/judiciary, army/special forces, event management, engineering, architecture and medicine. This interaction was REAL as the professionals gave the students practical insight into their professions and fielded their questions as the students enthusiastically moved from one professional to another. The invited professionals left with a deep gratitude for having been able to contribute in this meaningful way to the decision-making process of the students. It is safe to say that both benefited from the experience! The day drew to a close with the highly anticipated, albeit short, trip just outside the school’s gates. 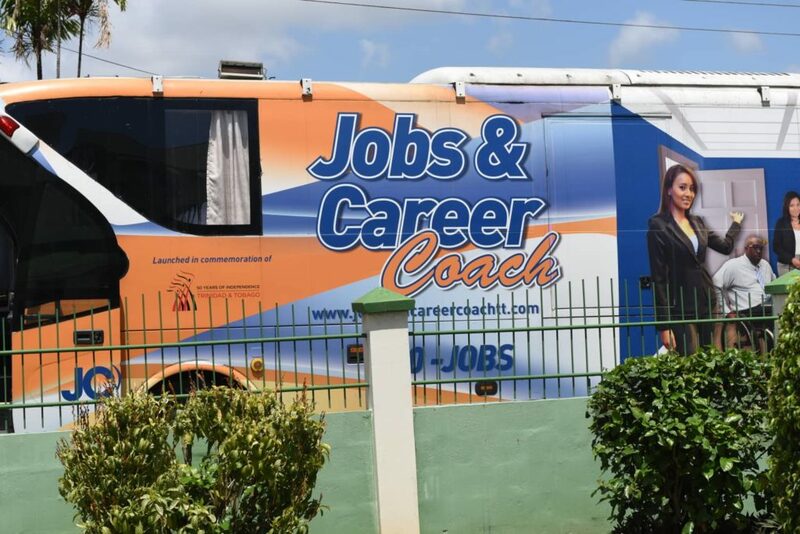 For the sixth consecutive year, the Ministry of Tertiary Education and Skills Training’s Jobs and Career Coach was invited to be a part of NGC’s Career Day, so the students were able to benefit from the information they shared, which complemented what they had been learning throughout the day. An interesting bit of trivia was that one of the employees on the Career Bus (Stephan Mondol) was a past NorthGate College student. He made a special requested to be on the scheduled visit so that he could give back to his old school, TEN years after having left! Long after the sessions ended, students were abuzz. Many felt empowered having been equipped with knowledge of the process entailed in considering their careers. Students were shifted from a place of anxiety and consternation to a place of calm and surety. In essence, NorthGate College Career Day 2018 was a thought-provoking experience; a process towards a process! There is always a buzz of excitement and anticipation that surrounds the NorthGate College’s Sports day. 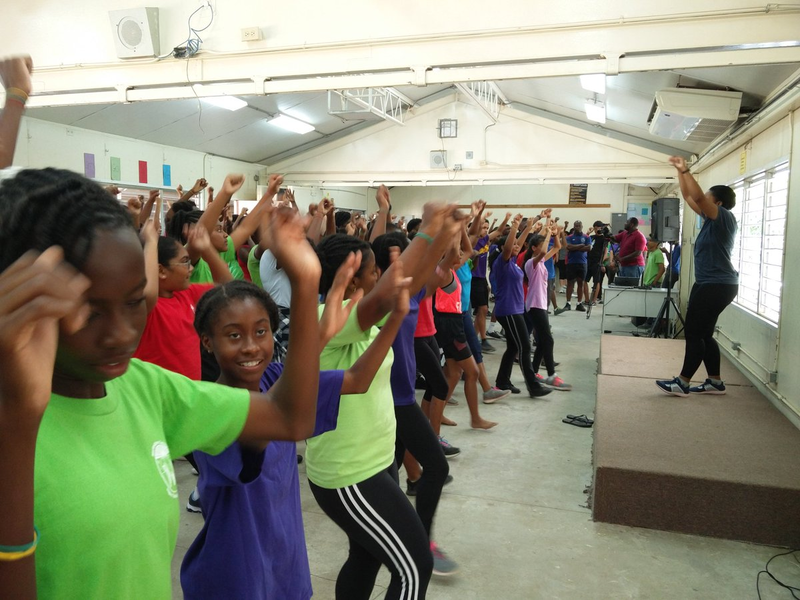 Energy levels intensify everyday as the students engage in the pre-sports activities. From the Academic Relay, to the Aerobathon, all four teams are well represented and the team t-shirts are worn with pride. 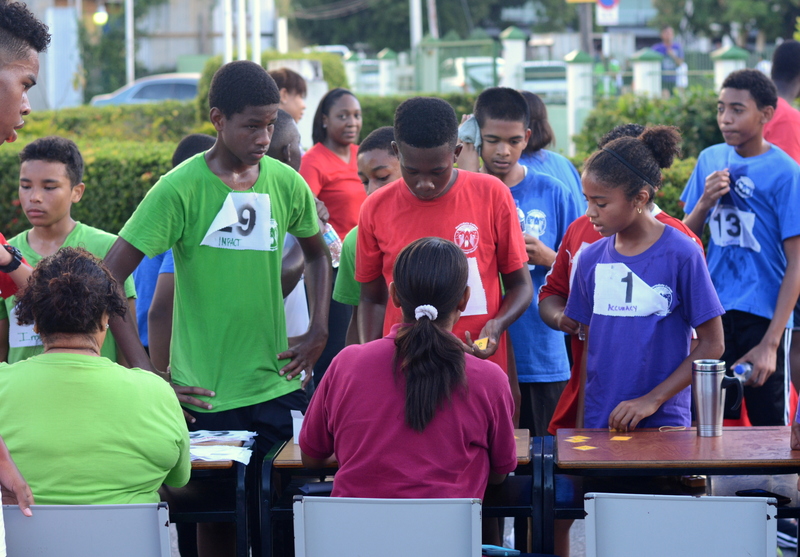 Each activity accumulates points towards the overall performance of the teams on Sports day. The students actively prepare for the pageantry, races, and novelty events all in an effort to walk away with the bragging rights to be the best team. Many parents attend our Annual Sports Day and are delighted each year by the creativity and high-spirited atmosphere that the day holds. The pageantry reflected this year’s theme of “Wisdom vs Folly”, the principles and practical examples that the students displayed gave assurance and confidence to each viewer of the values being built in the lives of their children. It was truly a wonderful sight to experience the students’ understanding of these principles in a creative and entertaining format. 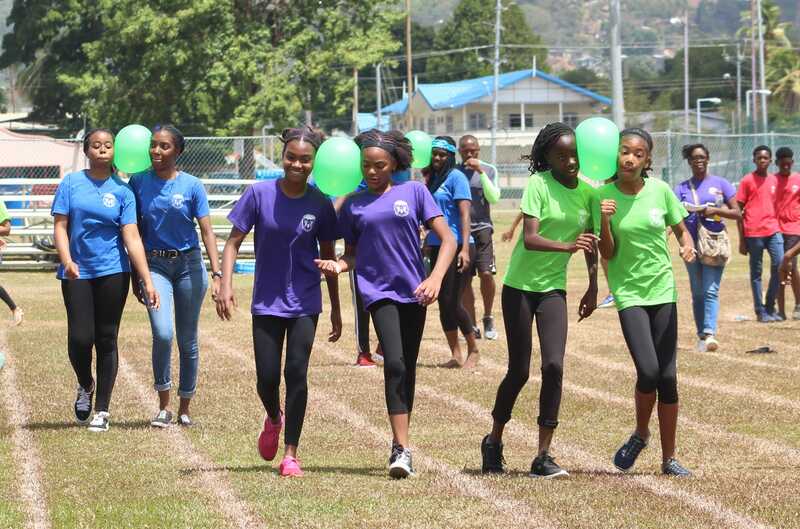 Team Accuracy, with an almost perfect sweep grabbed top honours in the majority of the pre-sports events: Academic Relay, Road Race, Aerobathon and Football. Team Impact exhibited exceptional form as they won the Cricket tournament. Accuracy however, did not stop there, but went on to cop first place overall on Sports Day! Congratulations to all the teams as they demonstrated strength of will and strength of community. 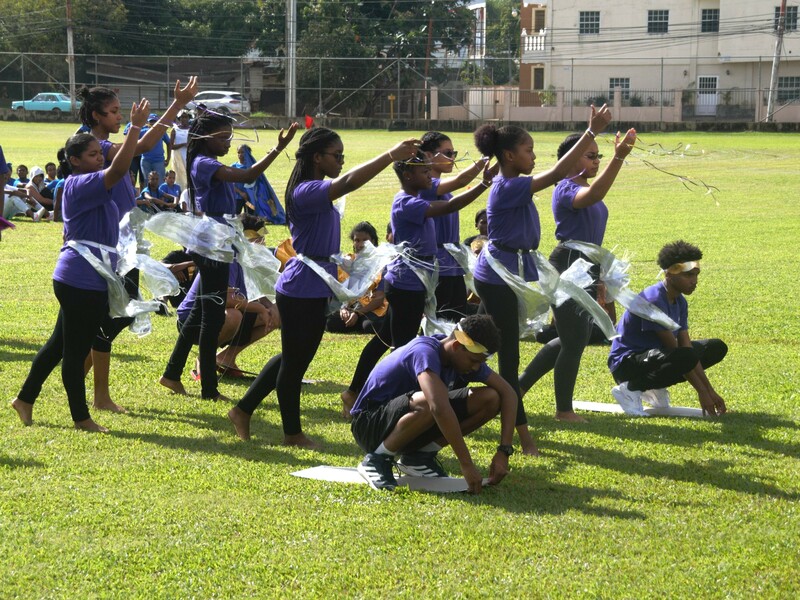 Though the students were placed in different teams, they cheered and supported each other admirably. The sense of togetherness and camaraderie was palpable and the driving force behind an exceptional day. 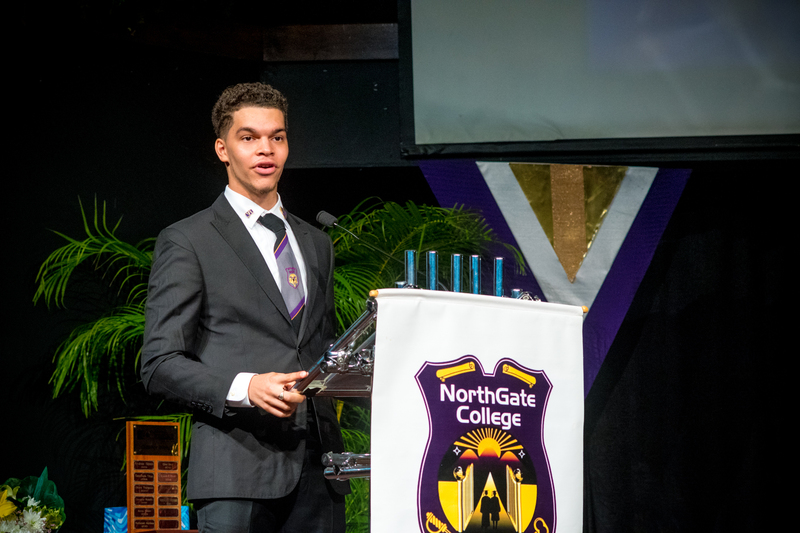 At NorthGate College there is such rich life that is experienced on an on-going basis that we relish the opportunity to present a sample to parents and guardians at the end of year concert. 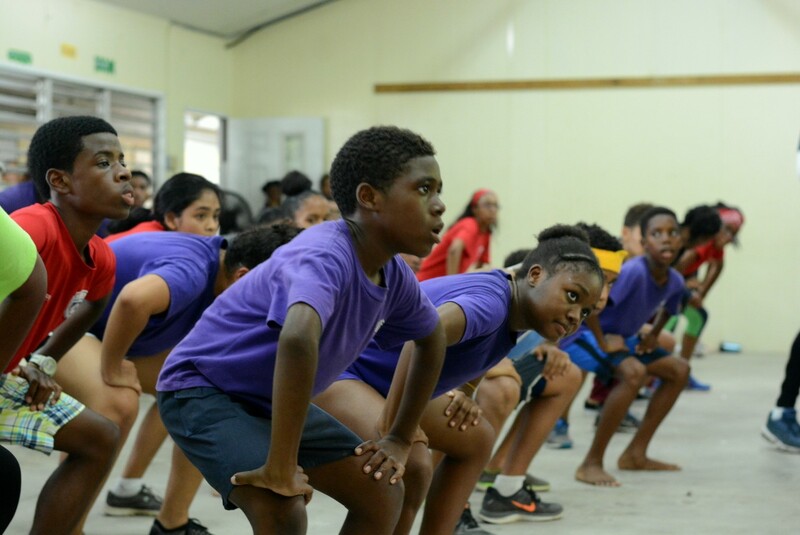 While some of the students have natural talent there are many avenues to refine their natural skill through the opportunities presented via the co-curricular activities. 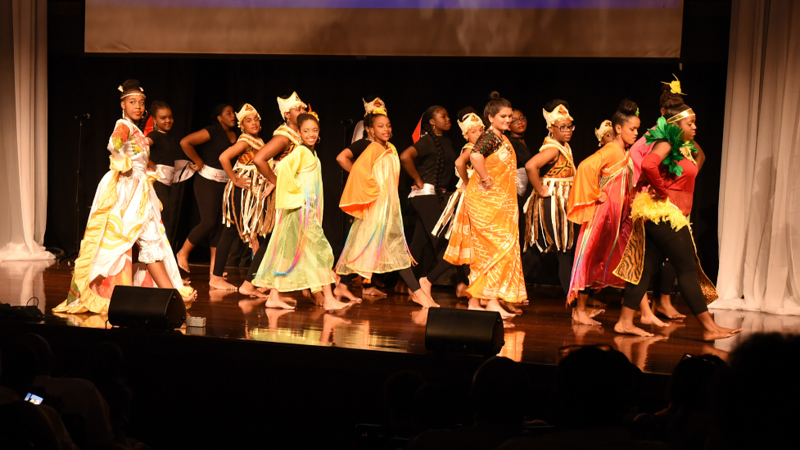 Parents, guardians and well-wishers attend the concert to see first-hand the core of who we are through dance, song, spoken word, musical expression and drama. 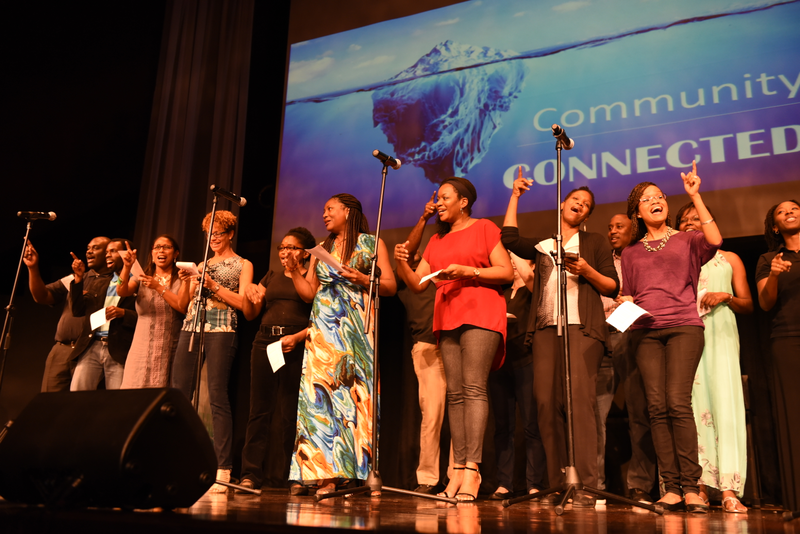 The Hidden 9/10s Concert, represented by the image of an iceberg, has become an iconic event for revealing the hidden mass of what makes us NorthGate College. The program was divided into 3 themes that creatively displayed the values that are embedded in the college: Courage & Resolve, Balance & Harmony, Community & Connectedness. 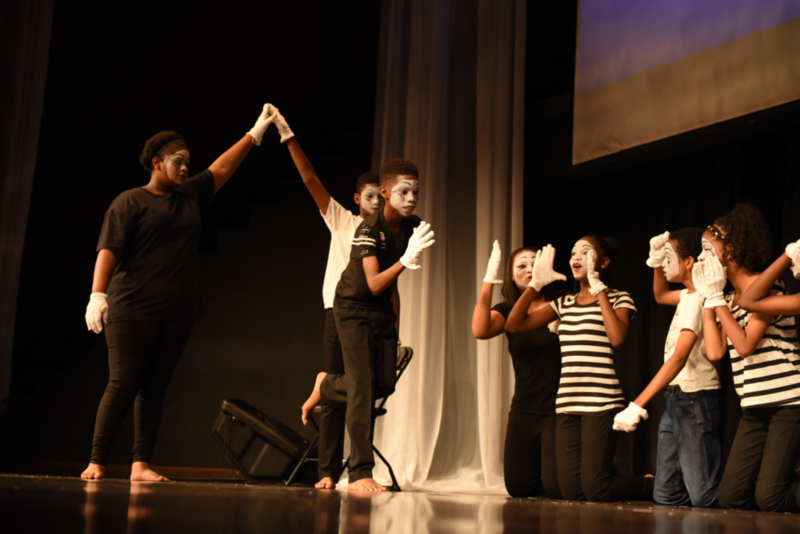 Each performance not only gave greater insight into the values highlighted but also the behind the scenes efforts of our students who volunteered to apply make-up on the performers, serve as stage hands and ushers for the event. 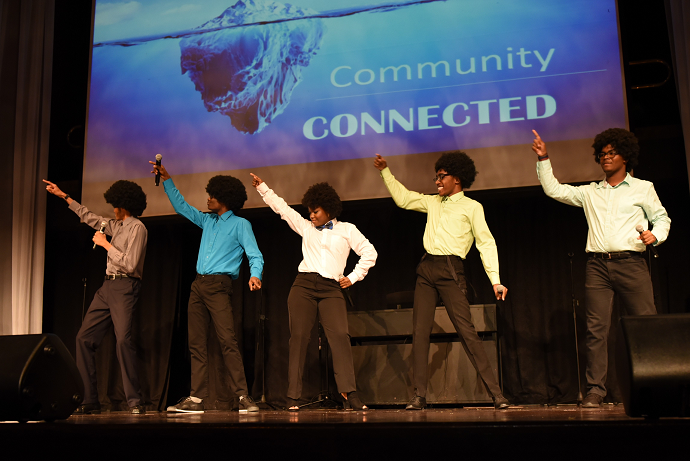 Even the staff stepped on stage to perform the closing act – a talkalypso that expressed the staff’s appreciation for the students and their joyful sacrifice to ensure that each student realizes their full potential. There are so many factors that constitutes a successful concert. While the concert was enjoyed by all, the success of the evening was seeing the genuine family structure that is NorthGate College on full display. All parents were in awe at the atmosphere and the feeling of being a part of something that is much vaster than the eye can see.